There are no limits of monthly page views or unique visitors. However, each plan has a data transfer limit. Data transfer limits will be applied to measurements of volume for the past 30 days. If your site’s usage exceeds the upper limits specified under each plan (data tranfer or storage capacity) for 60 or more days, ReadyShip Support Team will contact you. In this case, you will not be billed for the excess. However, you may be required to change within 30 days. You can change your plan while using the service. However you are not able to do that manually. You will have to contact our Support Team. If you have selected a plan and you choose to upgrade it (for example, switching from Medium to Large plan), your new plan’s price will apply from the following month’s billing. If you have selected annual payment method, the difference in price will be calculated according to the time remaining in the year and you will have to pay that difference when changing plans. The basic feeling will be the same regardless of which plan you choose, so we recommend selecting a plan that suits the purpose and the scale of your website. For individuals or small-scale businesses: we recommend a Small plan. For startups and typical businesses: we recommend a Medium plan. For e-commerce sites and sites of a medium scale or larger: we recommend a Large plan. You can use a subdomain provided by ReadyShip at no extra charge. For more details, please check Domains. We provide SSL certificates. We use AWS’s Certificate Manager, so the issuing authority of your certificate will be Amazon. We also handle SSL for original domains at no extra charge. You can also apply certificates that you have obtained on your own. For more details, please check Domains. We provide CDN for high-speed performance. We use CloudFront, the AWS’s CDN service. This will allow your site to respond fast even to large number of viewers. You can clear the CDN cache from your WordPress dashboard. For more details, please check CDN. We provide servers with OS, PHP, Nginx and other settings, customized specifically for WordPress. For more details, please check Hosting/Server Details. There is no need for you to initialize any database or install WordPress. WordPress core updates will also be performed automatically. Though you will need to perform theme/plugins updates by yourself. WordPress Core Updates: For security reasons, we perform minor version updates forcefully. Customers are required to perform major version updates on their own. However, we will perform major version updates forcefully if the current WordPress version is no longer supported by WordPress. This is the same functionality as the Automatic Background Updates feature in the WordPress core. 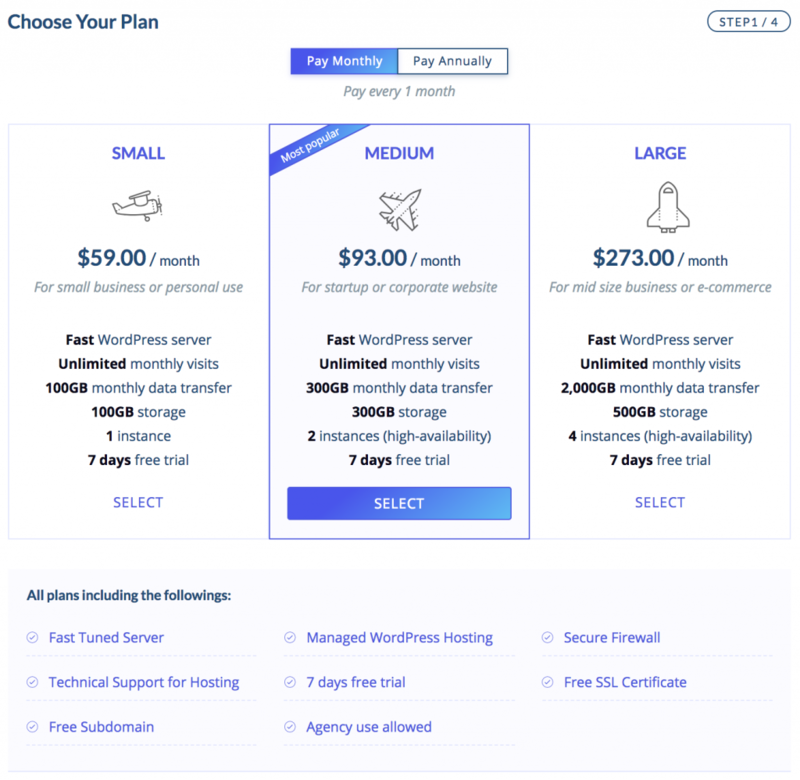 Version Updates for Plugins and Themes: Customers will need to perform themes/plugins updates manually using the standard WordPress themes/plugins update procedures. Plugins and themes will not be automatically updated by ReadyShip. ReadyShip operates monitoring systems and observes all websites 24 hours a day. When a problem is detected, our support team works to resolve it. Support is included for matters concerning the hosting and assistance using our service. For more details, please check Support. You can use FTP. FTP accounts are sent via email for each website, so you can use a regular FTP client. Note: This functionality is not available during the free trial period.